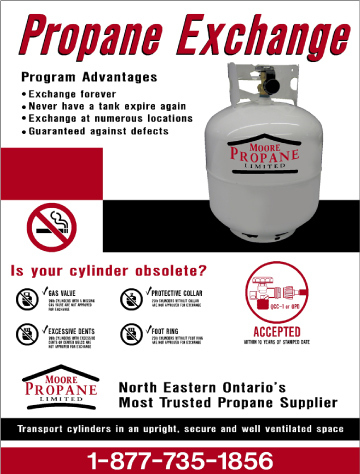 Moore Propane offers a wide range of Propane Tanks. We can supply propane tanks from 420 lbs to 2000 gallons. Forklift tanks, dispensers, 500, 1,000 and 2,000 gallon tanks. Bulk sales and delivery services available. ...Even agriculture presents uses for propane, such as crop drying and heating poultry and livestock areas! Propane's abundance flexibility presents a cleaner, economical, and efficient resource of energy.